I’m organizing a blog tour for YA Sci-Fi Station Fosaan by Dee Garretson, and I’m looking for bloggers to participate. Review spots will take priority but there will be promo spots available as well. The tour runs from August 12th to 16th and the giveaway is a print copy of the book. Books are available in all digital formats! Hey Bloggers! 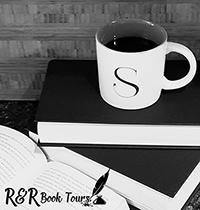 I'm organizing an exciting new blog tour for Collection of the Negatives by Violet St. Karl, and I need bloggers to host. Review spots will take priority, but there will be spots for excerpt reveals, interviews, and spotlights. The tour runs from April 22nd to April 26th. I'm really excited about this one guys, it sounds so good! Digital copies of the book will be available this weekend. (Sci-fi/ New Adult) Blurb: In a world with skyrocketing inflation and unemployment, blood has become the new commodity, and the rarer your blood type, the more it’s worth. After losing her job and watching her savings dwindle, Liri is persuaded by a resourceful friend to sell her blood to ABO Blood Group, where she learns she is O Negative, the most valuable and sought after blood. Unable to afford living in New York City, Liri reluctantly decides to move back home and live with her parents, but her plan is interrupted when a virus is maliciously unleashed onto the island of Manhattan, resulting in a citywide quarantine. Before being able to devise an alternative plan, she is secretly informed of a covert mission by ABO to evacuate Negatives out of NYC. Although reluctant to trust them, it’s her only viable choice to stay alive, but unbeknown to Liri, she and the Negatives are vital to activating opposing agendas on Earth and beyond.